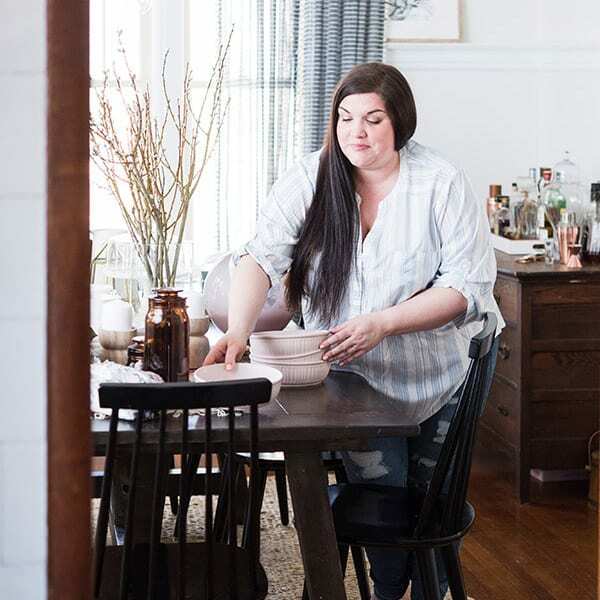 I had a vision for today’s DIY projects many weeks ago. I’ve had this obsession with gold leaf for the last several months and really wanted to try my hand at playing with it for the first time. 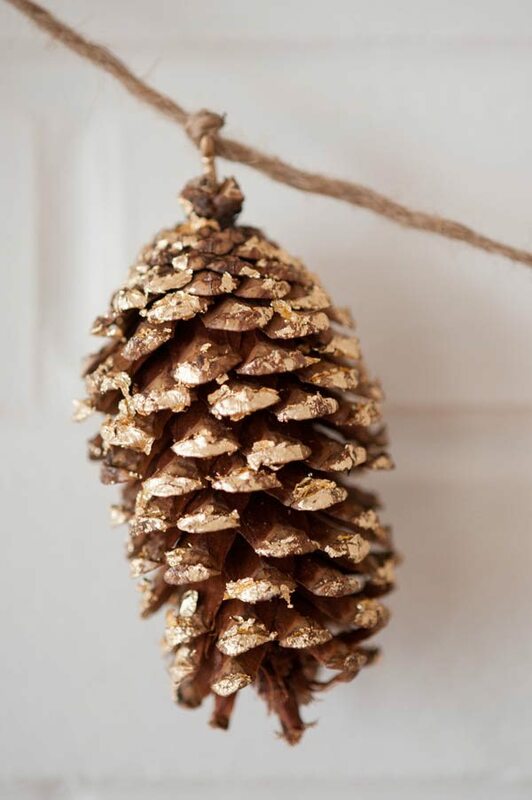 This DIY gold leaf pine cone garland is how it all went down! 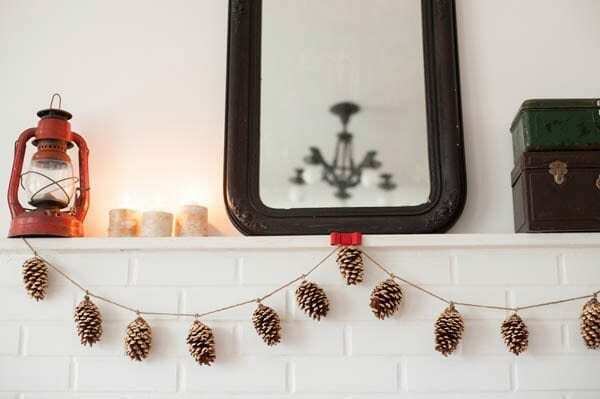 While largely intended to jazz up your holiday decor, this garland would be lovely to use throughout the winter months. 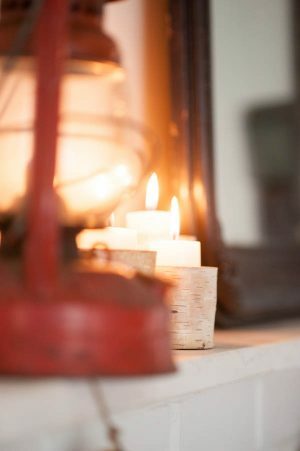 Mine took up residence along the mantle in the living room, but really it would be adorable just about anywhere in your home. 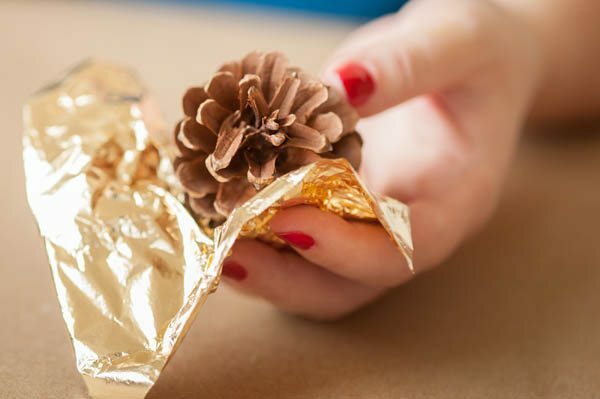 So who’s ready to get your gold leaf on? 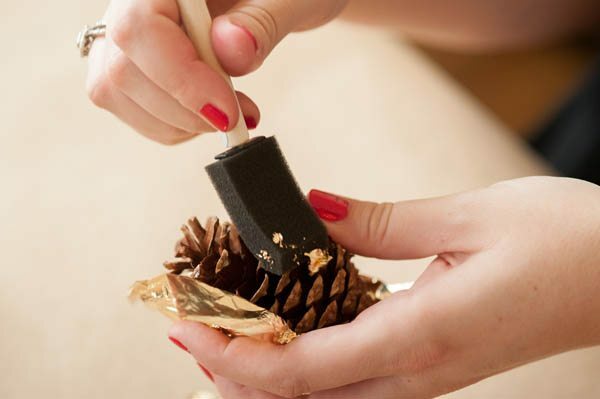 The first step is to apply the gold leaf adhesive to your pine cones using a foam brush. 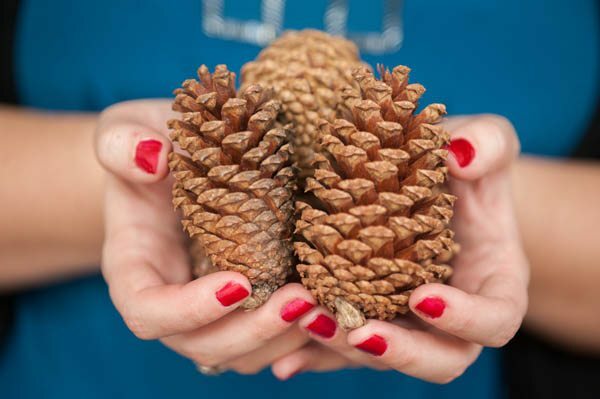 If you foraged for your pine cones outside you’ll first want to make sure they’re free of all dirt and leaves. 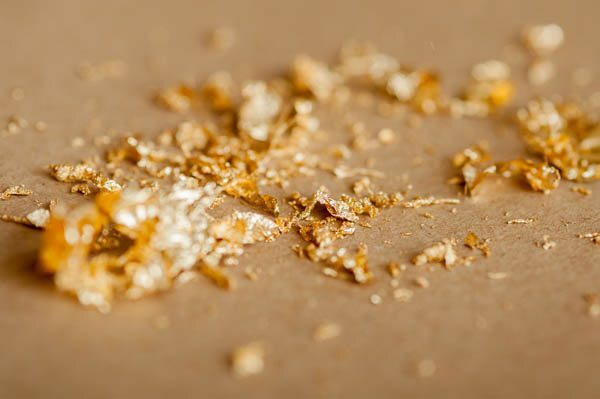 The gold leaf adhesive is a really watery glue with a milky consistency, but as it dries it sets up and gets extremely tacky. 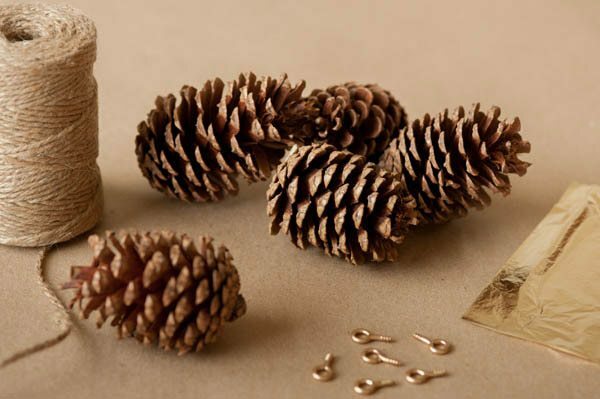 The amount you apply will determine how much of your pine cone is covered with gold and is totally a personal preference. 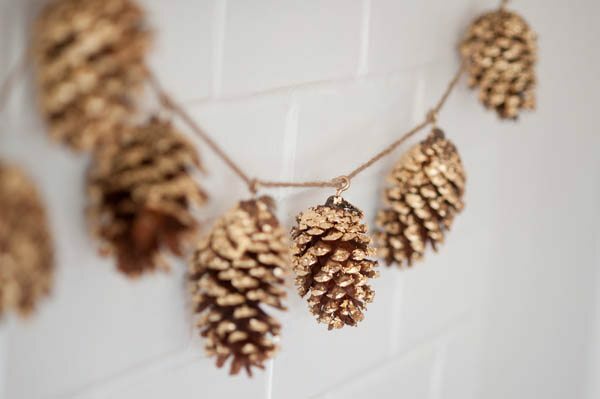 The next step is to let the pine cones dry completely. As the adhesive dries it will turn clear. Be sure to read the manufacturer’s instructions completely to make sure you allow for the proper drying time. With the brand I used, it took about an hour. 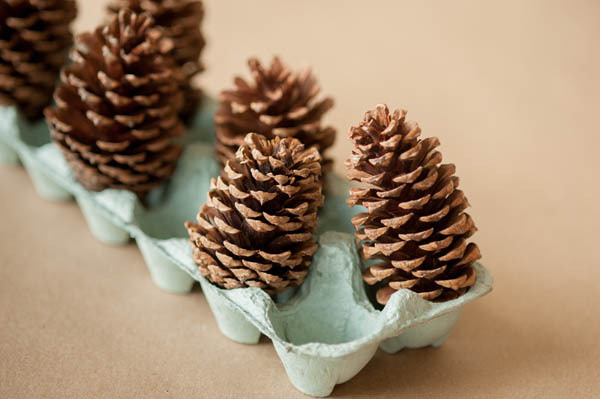 I found the easiest way to let them dry was to stick them in an old egg carton and it worked great for the task at hand. 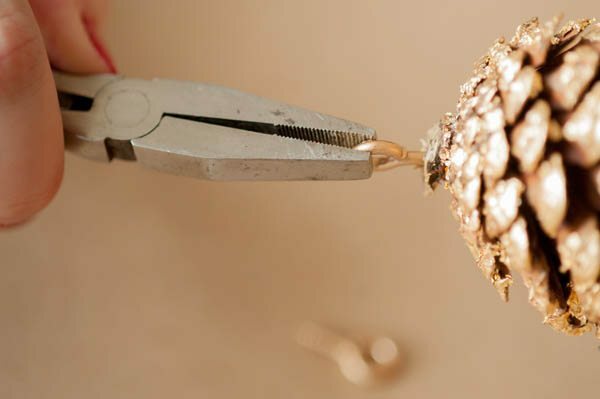 While the adhesive is drying, give your screw eye hooks a couple of light coats of gold spray paint, being sure to cover all angles. 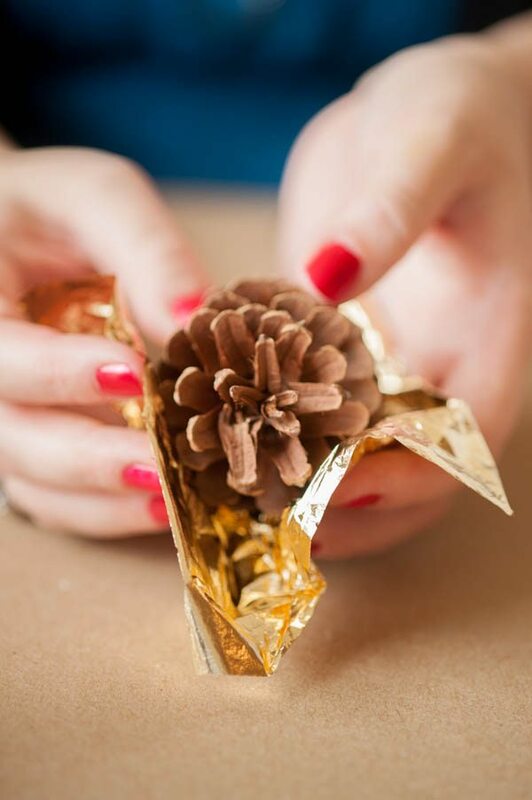 Next up, it’s time to play with the gold leaf! 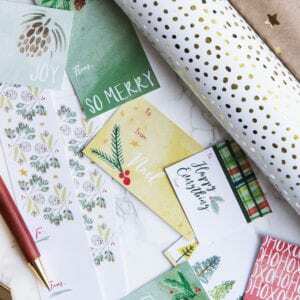 Gold leaf comes in whisper thin sheets that are about 5″ square. 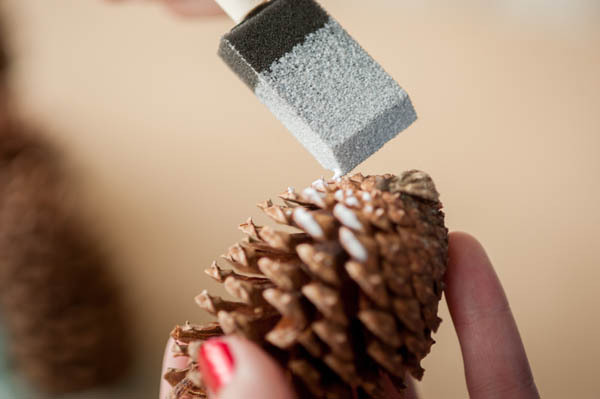 To apply it to the pine cones, I used a technique where I first wrapped it around the pine cone and then used a clean foam brush to burnish it into the adhesive. 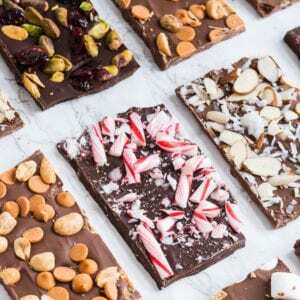 A lot of it will flake off onto your work surface and that’s ok! 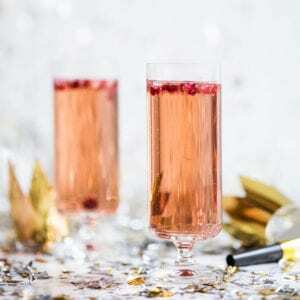 You can scoop it up and continue using the gold flakes to give everything that pretty gold shimmer we all love so much. Once you’ve finished gold leafing to your heart’s content, give all the pine cones a light spray of sealant and allow them to dry completely. 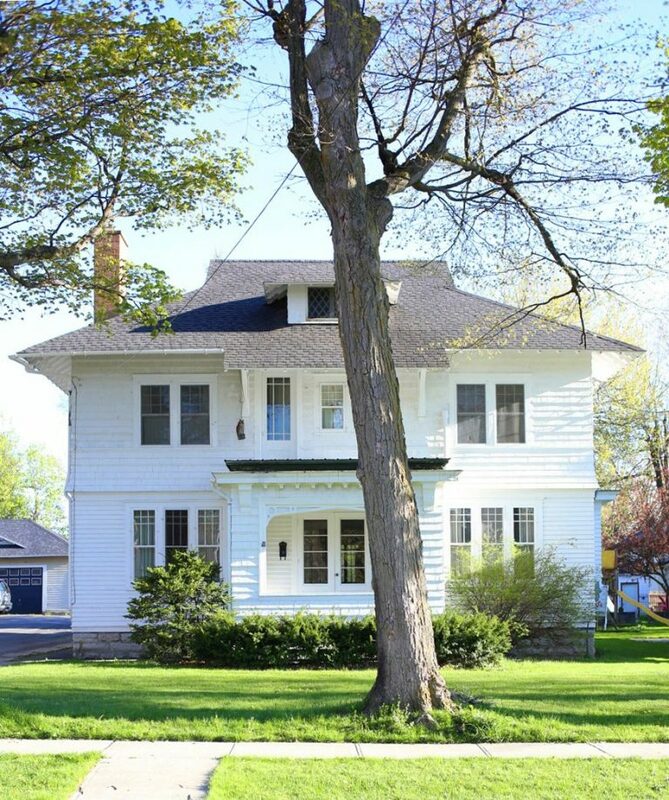 Next up, grab your pliers! 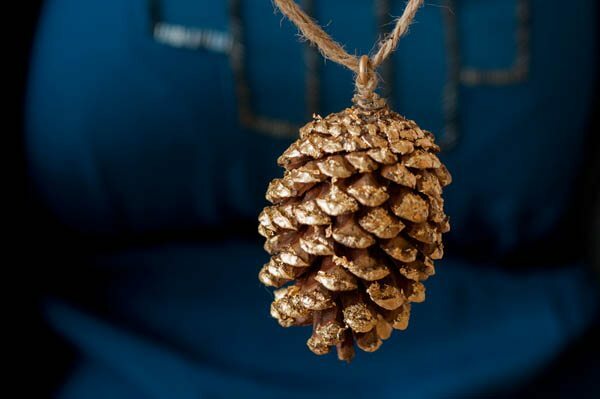 The screw eye hooks that you just painted will now be screwed into the top of each pine cone so they can later be strung on the twine to create the garland. I definitely recommend using the pliers for this part to help save your thumbs, as it gives you a bit more leverage when screwing the eye hooks into the pine cone. 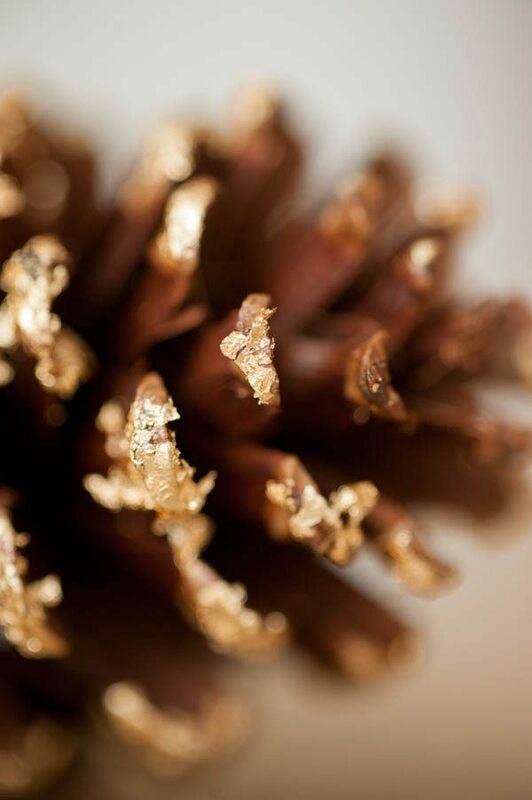 You’ll want to position them so they’re roughly centered on each pine cone, but there’s no need for perfection here. 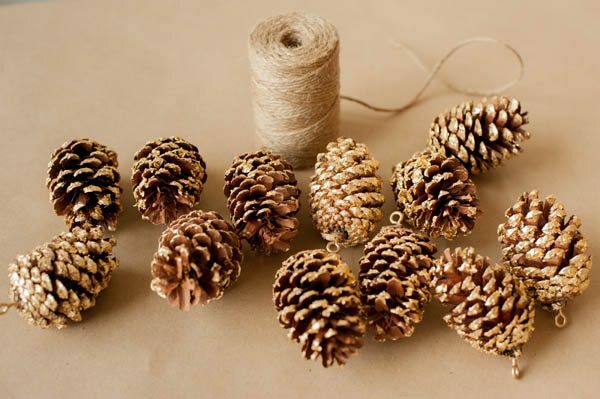 Once all of your pine cones have a screw eye hook attached, grab your twine and cut a length about 2′ longer than you’d like the finished garland to be, keeping in mind that you can add more or less pine cones to your garland to make it the length you’d like. 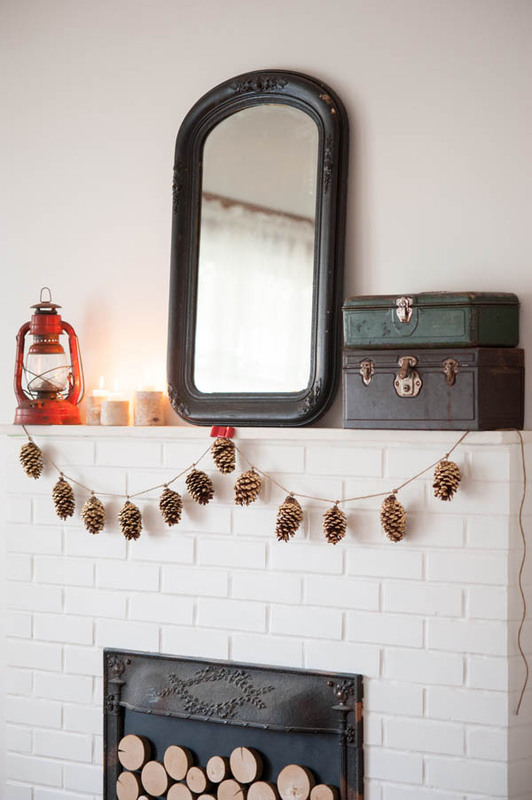 For reference, my garland used 12 pine cones, roughly spaced at 4″ intervals with a finished length of about 4′ long. 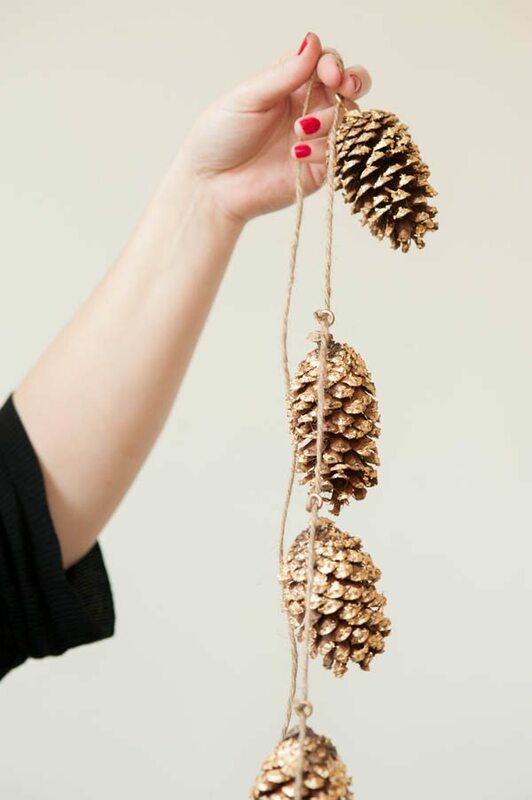 To string them on the twine, you’ll want to slide your first pine cone onto the twine so it rests in the middle of the length of twine. 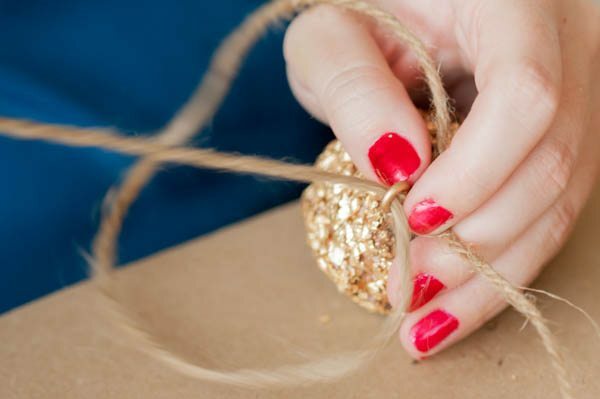 Then taking the other end of the twine, feed it back through the screw hook to create a single knot around the hook. 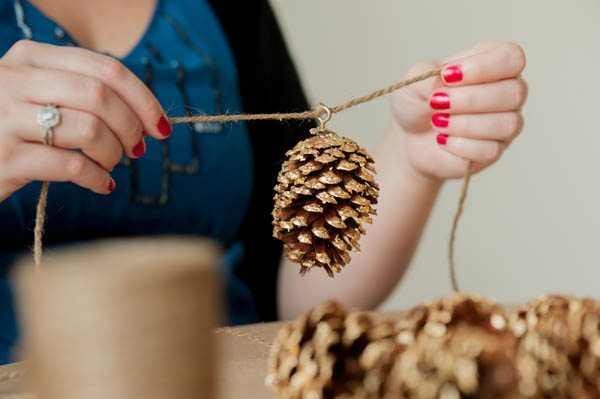 At this point you’ll have one pine cone attached to the center of your twine. 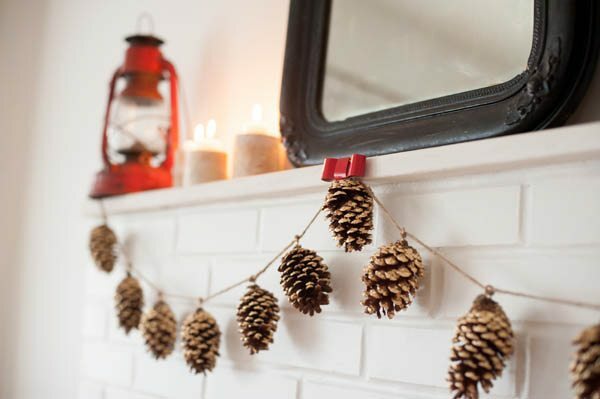 Working outward from the middle, add the appropriate number of pine cones to the left and right sides to complete your garland! 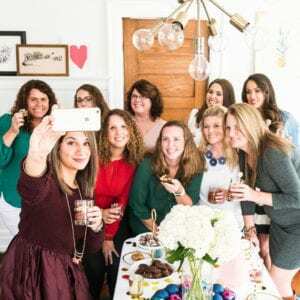 I have to confess that this was definitely one of my favorite DIY projects to date and I fully intend to keep my garland for years to come. 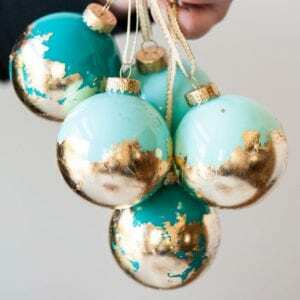 I also intend to gold leaf just about everything I can get my hands on, but that’s a conversation for a different day. 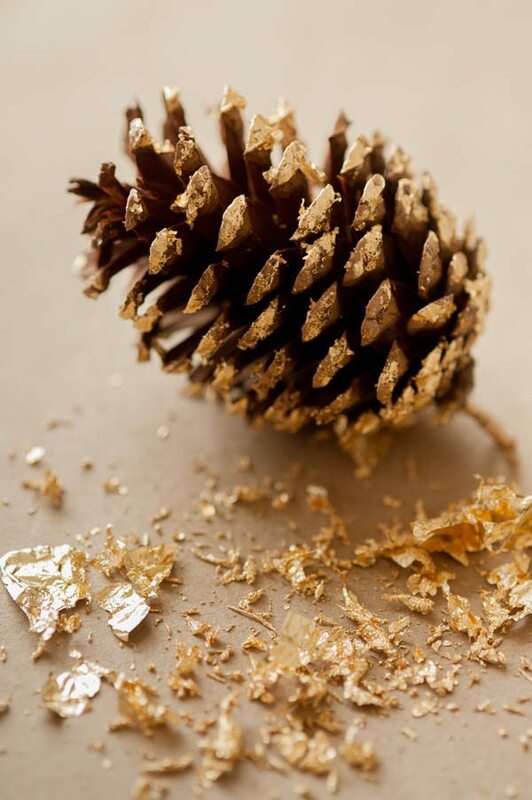 In the meantime, happy gold leafing!